Massage during pregnancy is not only for relaxation but offers physical benefits supporting the body throughout. During pregnancy the body undergoes numerous changes physically as well as emotionally. These physical changes can be seen throughout the body including the pelvis and lower back and may lead to stress and discomfort. Pregnancy massage is a wonderful way to help alleviate many of these discomforts, as well as promotes a sense of well-being. There are many postural changes during pregnancy which can affect nerves, muscles and joint mobility. These changes are often seen throughout the spine, pelvis and hips, with an increase in spinal curve and an increased pressure throughout the hips, during which can lead to muscular imbalance and tension. Pregnancy massage can help these regions to regain balance and relieve discomfort. Along with helping general tension and loss of flexibility experienced throughout the body. 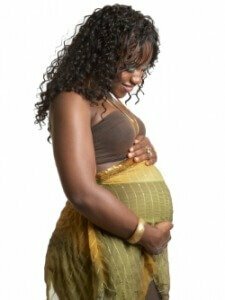 Pregnancy massage can also help discomfort from swelling throughout the body helping the lymphatic and circulatory systems. Along with physical benefits there is also the relaxation element where pregnancy massage has been found to help reduce stress, relieve fatigue, enhance sleep and have a relaxing effect on the baby. Eases muscular discomforts and tightening that can be experienced throughout the body e.g. calf cramps. Reduces swelling and oedema in hands, feet and ankles. Pregnancy massage can lessens sciatic pain. Increased relaxation and relief of emotional tension which in turn can help with insomnia. Pregnancy massage can helps increase blood circulation, which in turn delivers more oxygen and nutrients to mother and baby.